Our Carbon Fast and daily devotion for Lent has begun! This week our 80+ participants are finding ways to use less water to reduce their carbon footprint. Catch up on the daily devotions anytime on our website, or sign up for the daily emails anytime here. Over the five Sundays in Lent, we will explore Jesus’ experience fasting in the desert for 40 days, looking into this account in the Gospel with greater depth, from a variety of perspectives, and drawing connections to other parts of the Bible. Join us on the journey in Sunday worship throughout Lent. Follow the Israelites through the wilderness in Exodus in our weekly Lenten Bible study. 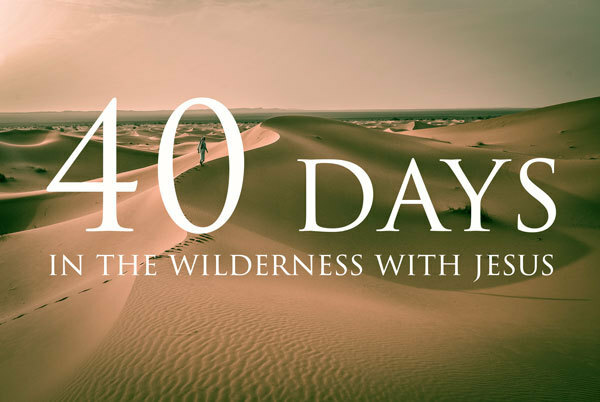 We’ll explore the significance of this journey, its connections to Jesus’ 40-day fast in the desert, and its connections to our Lenten practice today. Come join us! Can't make it to Advent one of these evenings? We'll be opening up the opportunity to participate from home using Facebook Live. Follow us on Facebook and check in at the time of the Bible Study to join us! Sundays at 10:10am in the basement fellowship hall. This Sunday's topic: "Psalms as Devotion." During Lent, our Sunday morning adult conversation will explore various devotional practices rooted in wilderness scripture. Join us in the basement fellowship hall between 9am and 11am worship to learn and discuss a new devotional practice each week. Thank you to all who joined us for our bilingual, vegetarian lunch on Sunday! We had a great time eating healthy, playing checkers and chess, and getting to know new friends. If you can't get enough of board games at church, you're in luck! The Adventurous Adventonians will be hosting an intergenerational board game gathering this coming Sunday at noon. 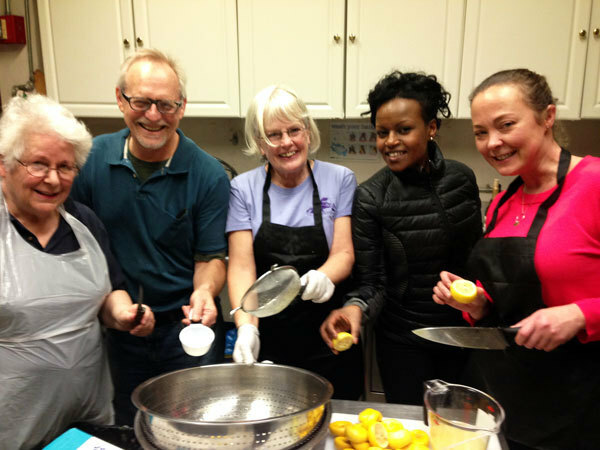 We are always looking for new volunteers in both ministries. Come join us! 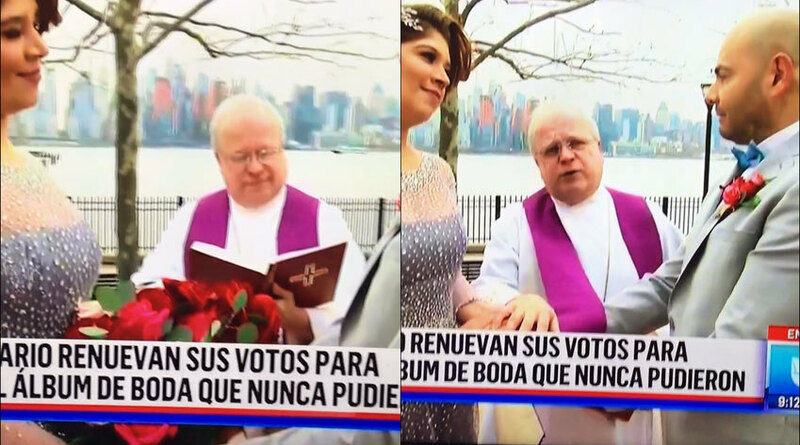 Pastor Gary officiated a wedding vow renewal for 100,000 viewers on Univision last week for Valentine's Day! He was selected out of the all Protestant clergy in New York to officiate one of Univision's annual televised weddings on Valentine's Day. This one was actually a wedding vow renewal. The couple could not afford a wedding when they got married 20 years ago. Now they got one on TV, with the Manhattan skyline behind them. Pretty cool! After the wedding, Pastor Gary came right back to Advent to lead worship for Ash Wednesday. The Rev. Donald J. McCoid has been called as the new interim bishop for our synod, following the resignation of Bishop Rimbo. Keep Rev. Donald in your prayers as he oversees this transition for our synod. You can learn more about him here. Adult Conversation | "Psalms as Devotion." Led by Pastory Gary. Meets at 10:10am in the basement fellowship hall.